With vívofit 4, we’re bringing you several new tools designed to make life a little more convenient. Use the weather widget for a quick, illustrated look at what the day is going to bring4. Set an alarm in the app that will go off on your device, or even set a countdown timer right from your wrist to remind you when it’s time to turn off the oven. Misplaced your phone? vívofit 4 can help you with that, too. 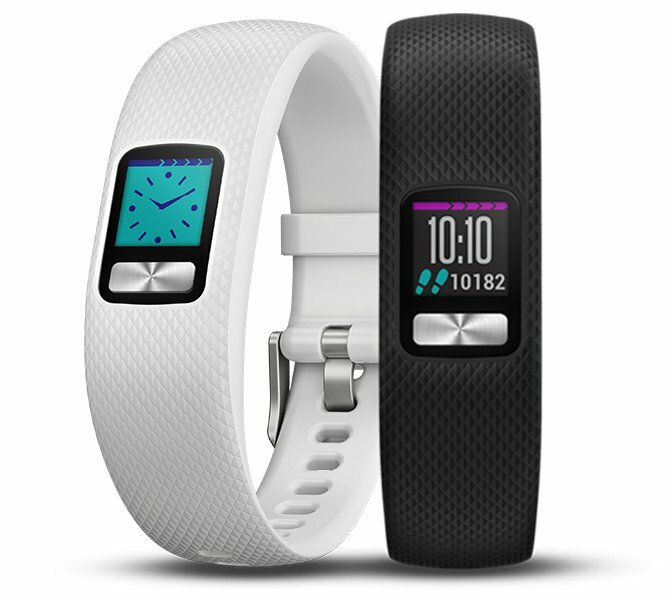 Throughout your day, vívofit 4 periodically syncs to Garmin Connect2. 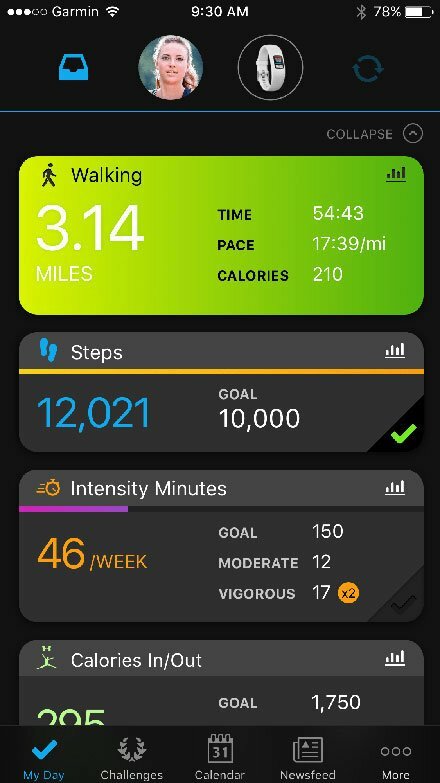 The Garmin Connect™ app makes it easier than ever to beat yesterday. Bold, colorful activity cards provide all your statistics at a glance. Scroll down to easily compare today’s totals to past results, or tap in for more detailed information. Activities and other health measurements recorded by your device are presented in vivid detail. And the data you see is customised just for you and the way you move, without all the filler.